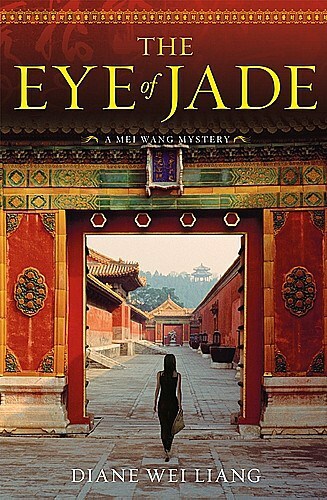 Mei Wang, a female private detective in contemporary Beijing where private detectives are illegal, is the main character of The Eye of Jade. It’s nominally a mystery centered on the search for a jade seal that allegedly was not destroyed during the Cultural Revolution, but the central case does not seem to occupy most of the story. Liang is more interested in describing life as an entrepreneur or as a government employee in China. Wang, a former employee of the Ministry of Public Security turned private investigator, is a part of both realms. There are several set pieces that are especially vivid, including Mei’s visits with several high-end antique dealers and Mei’s sister’s flashy wedding. The other main part of the story deals with the Cultural Revolution and its aftereffects. Wang lived in a labor camp with her father before her mother was able to free her, and the jade of the title allegedly escaped destruction during that time. How the generation that lived through the Cultural Revolution, including Wang’s mother and friends, has adapted to life in China today is a crucial element of the story. Liang is a former Chinese citizen who has written two books about Mei Wang as well as a memoir about her experience growing up in part in a labor camp during the Cultural Revolution. Other reviews of The Eye of Jade appear in The Game’s Afoot and Ficsation.